The horror genre can be equal parts exciting and frustrating all at the same time. It opens the doors to so many creative individuals to tell wacky and weird stories that can chill audiences to the bone, but it also frequently produces remakes and reboots to seemingly no end. 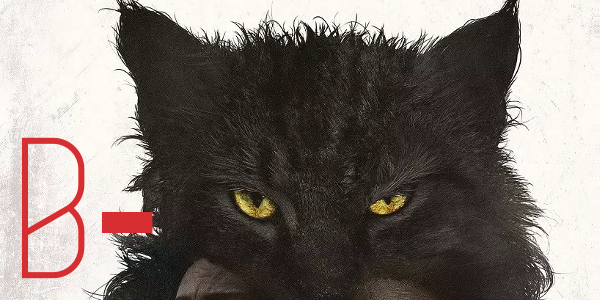 Pet Sematary, fortunately, falls somewhere in the middle, a remake of an adaptation no less, but it presents a chance to new something new and unique with the creepy source material. Dr. Louis Creed (Jason Clarke) and his wife, Rachel (Amy Seimetz), relocate from Boston to rural Maine with their two young children. The couple soon discover a mysterious burial ground hidden deep in the woods near their new home. When tragedy strikes, Louis turns to his neighbor Jud Crandall (John Lithgow), setting off a perilous chain reaction that unleashes an unspeakable evil with horrific consequences. From a story perspective, those familiar with the novel or the 1989 film of the same name will get a lot of the same story moments here, though some with slight alterations. Nevertheless, the themes of grief and death are still prevalent and thus the main pull of Pet Sematary remains, even if it isn’t as effective as it could’ve been. There is quite a bit that works in this new version, but as soon as the film feels as though it is about to take off, it devolves into clichés and loses some of the goodwill it has built. The old adage of never work with children or animals is often lost on horror films, where quite the opposite frequently takes place. For Pet Sematary, a child and an animal take center stage for a majority of the creep factor at hand, and luckily, newcomer Jeté Laurence is up to the task. As Ellie Creed, Laurence delivers on the sweetness and the creepiness in equal doses, getting the tones and glares often asked of many a famous horror kids down pretty solidly. And if ever a film relied almost entirely on atmosphere and eeriness, it’s this one. A majority of the film rolls by before things really start to go awry, but once they do, the film doesn’t look back or slow down, for better or worse. From the whistling of the wind through the endless number of trees to the creaks of floorboards and doors, Pet Sematary builds up the tension so much and so well, that it winds up being disappointing when the release is predictable. Pet Sematary is ultimately just that, predictable. Yes, it is an adaptation and a remake, but even for those unfamiliar with the source material, the sequence of events can be seen from a mile away. It still features enough quality scares to give it a favorable review and a solid score, but the potential for something truly dark and sinister was there, the film just needed to dig just a little bit deeper to get there.